It has been a long winter. I miss the sun, friends and outdoor events. Clearly, I have an acute case of cabin fever. Alas! 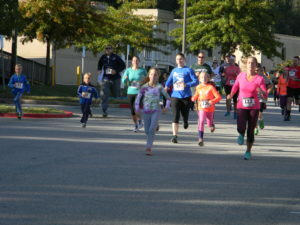 There is a remedy that Junior League of Annapolis, Inc. (JLA) is hosting… The 10th Annual Jennifer Summers Barrett Memorial Volunteers on the Run (VOR) 5k! The VOR 5k is coming up in just a few short weeks. It’s the perfect event for the entire family! This is not just an event for runners only. Walkers, four legged friends, strollers and friends of all ages are welcomed and encouraged to participate. The B&A trail is the perfect place to spend some quality time with friends and family in the outdoors! Finally! Get good sleep the night before. Don’t let race day jitters have you run down before you start running. Pick up your race packet and register early. Sign-in will be from 9:00am – 9:45am on race day. Race begins at 10:00am. Get there early – not on time. This is shaping up to be a fantastic event as always. So pack your patience and help the line move smoothly by arriving a little early. Parking will be at the Severn School parking lot, 101 Holly Ave, Severna Park, MD. Do not overdress. A good running rule is to dress as though it is 15 degrees warmer than it is outside. Avoiding overheating and dehydration is vital. If you are unsure – dress in layers! Do not try anything new on race day. Keeping those new running shoes for the race – don’t! That is the perfect recipe for blister and injury. Do a light warm-up to the race. Warming up ten minutes prior will help prevent injuries. Light stretching and brisk walking. Never stretch cold muscles. Keep the warm up light and not aggressive. Start slowly – lining up with runners of like ability. It’s easy to get excited and swept up into the excitement of the race. This will lead to a less than enjoyable race experience as you will burn out fast. So, pace yourself. Don’t forget your post run and recovery. Refuel with carbohydrates, protein and sports drink within 30 minutes after you finish. This will replenish your body and aid in muscle recovery. Some light stretching for fifteen minutes will help prevent muscle soreness. Come join us on Saturday, May 13th. We will have top finisher prizes for fastest female and male runner, top kid runner, and top team that raised the most money! Don’t forget the great after party once you make it over that finish line! We remind everyone to please bring a book to donate to our children’s literacy initiatives in honor of Jennifer Summers Barrett. 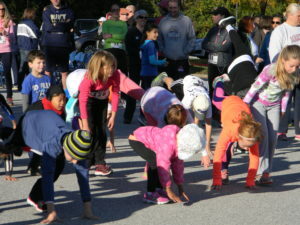 Race information and registration sign up: https://www.jlannapolis.org/werun/.